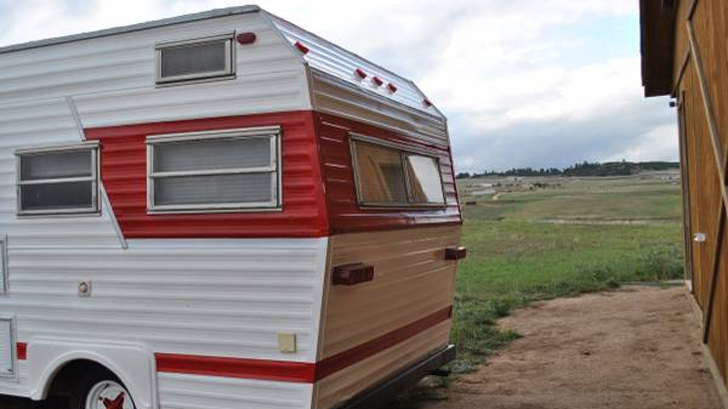 This Coke-themed trailer provides a template for those interested in creating a personalized camper of their own. 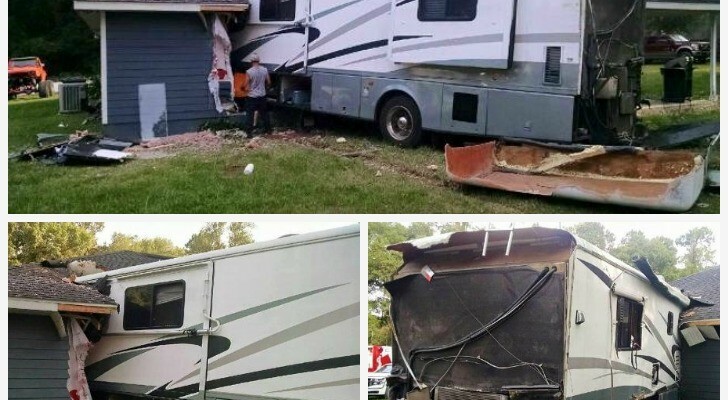 The thought isn’t such a worry with many RV owners. 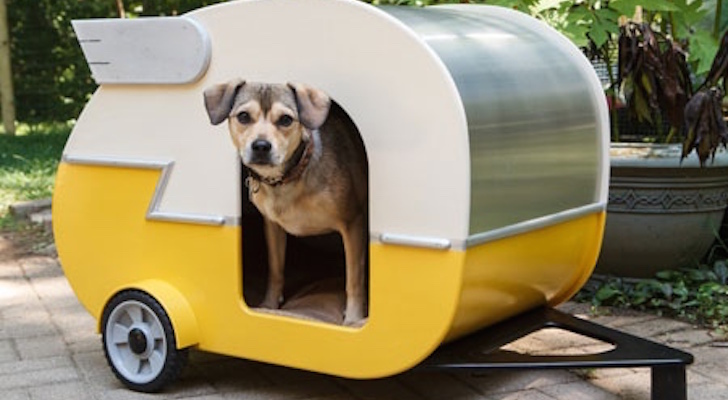 Whether it’s the lower investment, or the more personal nature of a domicile on wheels, people seem ready to customize to their heart’s content when it comes to rolling vacation homes. 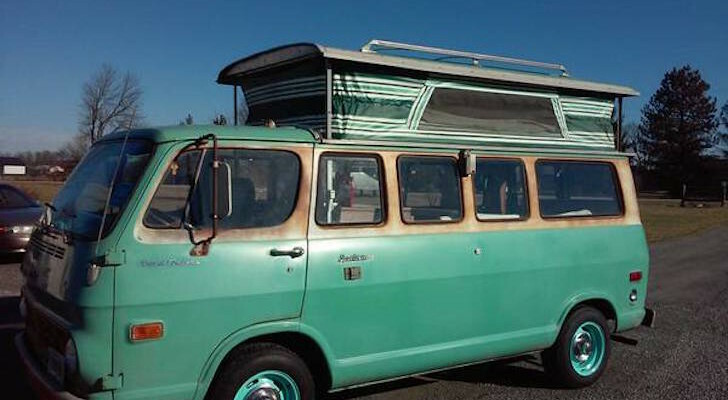 This unidentified mid-70s classic features a crisp custom paint job. 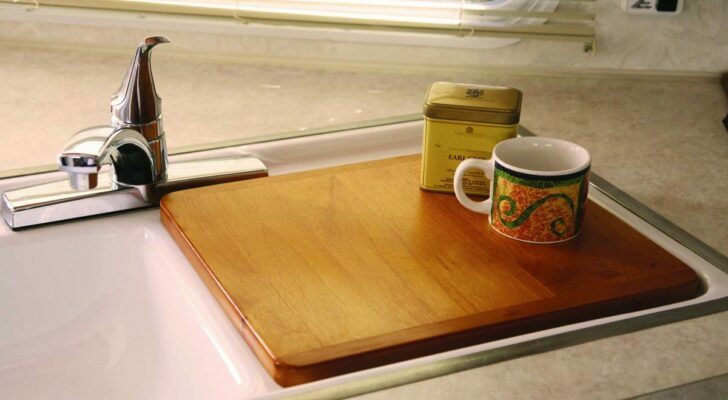 Getting that homey feel is a big part of making an RV comfortable. Without personalized touches, RVs tend to feel like mobile budget motels, complete with bathrooms too small to turn around in. That’s why it’s fun to find one that somebody finished to match their mood. 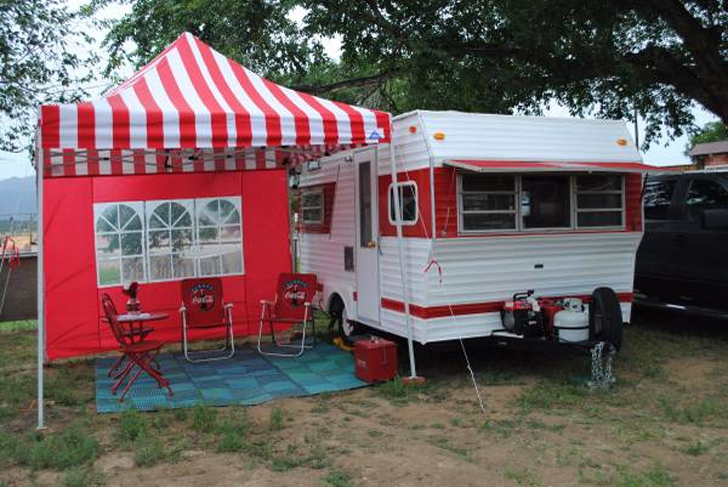 Here’s a cool, early 70s classic with a Coca-Cola and Americana theme that might provide some inspiration for your own renovation. A great way to customize is with matching accessories. 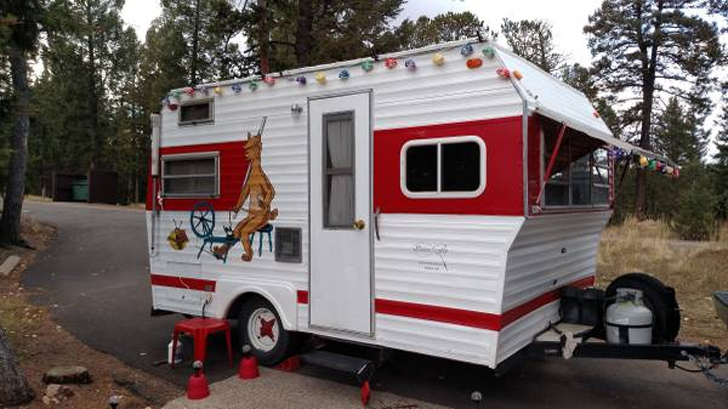 The current owner says no one can identify the make of the trailer, so any of you experts out there that want to chime in on that in the comments, we would love to hear from you. Most agree that it was originally pre-1975 and has had some updates since then. 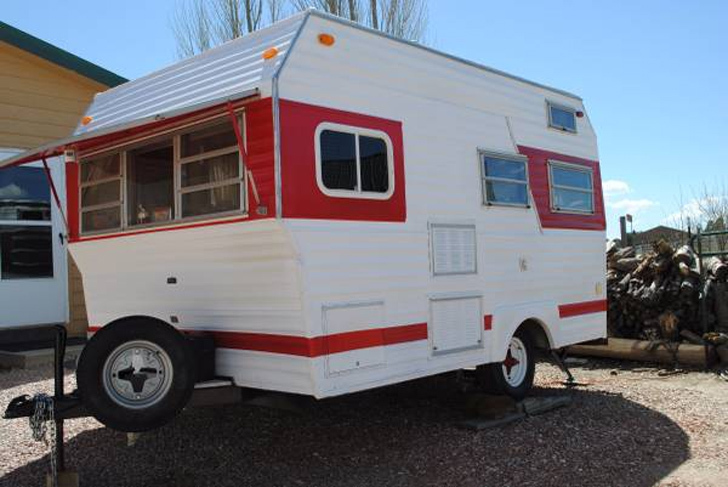 The craigslist ad doesn’t say, but this red and white beauty looks to be 16-18 feet in length and would sleep three or four comfortably. Taking custom to a new level with a one-of-a- kind cartoon mascot. There are some great exterior features, including the matching awning it comes with – a fun way to incorporate outdoor living space. Up front, the windows feature a nice awning that folds down to protect the front glass in transit and in the up position would provide nice shade, while not blocking ventilation and still allowing some light shine in. Large bold vinyl tiles are easy to install, durable and add a lot of color. 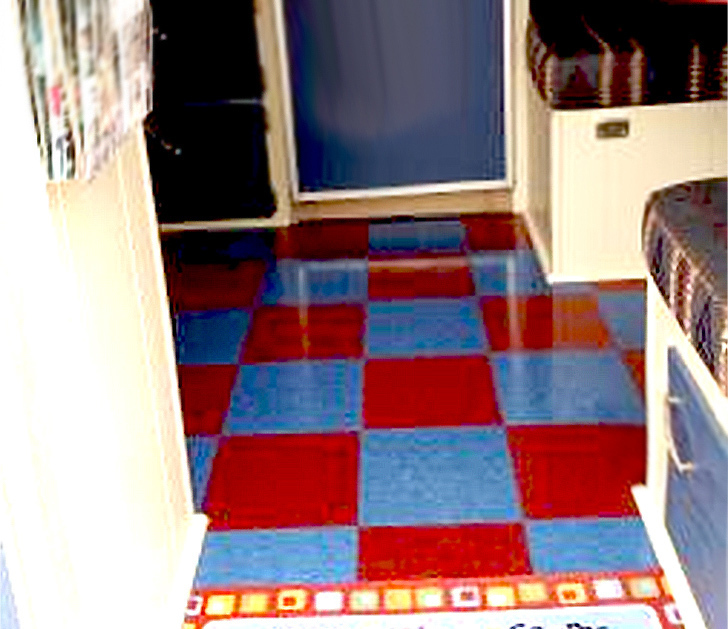 Inside a patriotic red, white and blue color scheme has been used throughout, starting with the cherry red and blue checkerboard vinyl tile floor. 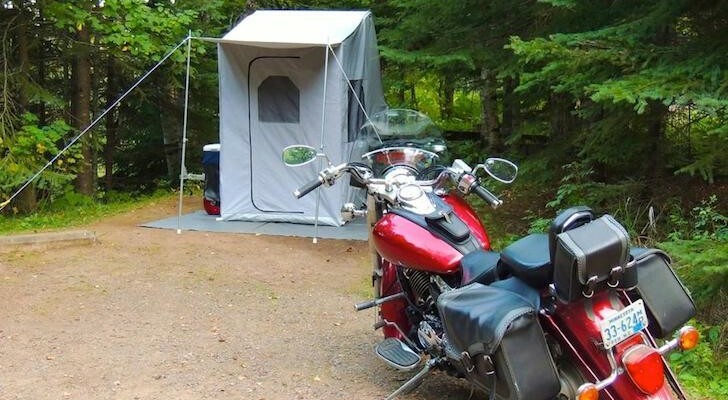 This tile is great for campers. It survives mud and wet, and is easy to clean and long lasting. 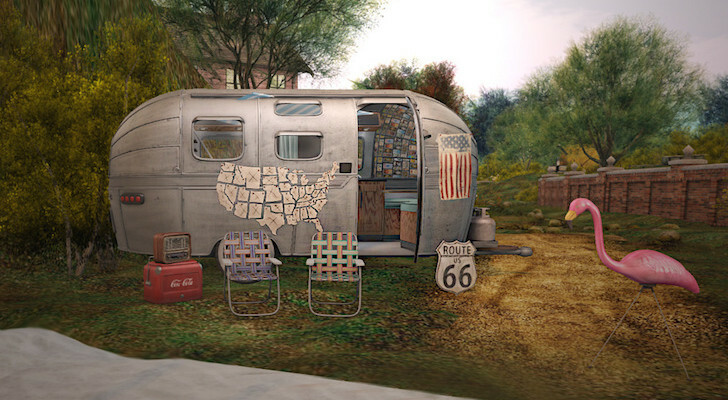 It’s also an inexpensive fix if you are looking to update your own camper. 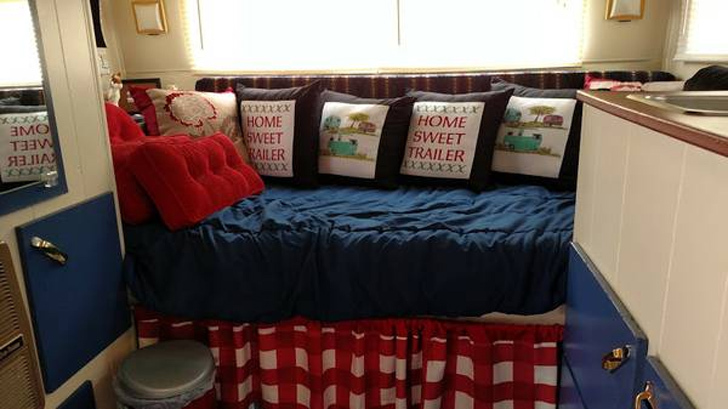 Homemade cushions and varied fabric patterns make this bunk feel cozy. 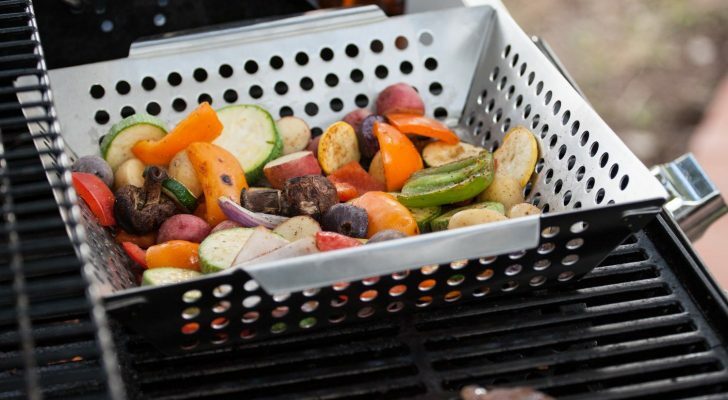 For appliances, you have propane, electric and a handy 3-way fridge that will use a standard hookup, low voltage battery system or run off of propane when off-grid camping is called for. This can be a great benefit if you’re not sure you’ll have electric hookups at every stop along the way. The fridge and other appliances are set in white plywood cabinetry with blue accents, including large storage drawers under the dinette seats that we can see from the rear door, a great place to add storage if yours needs more. The Coke-themed collectables create a cohesive look with lots of visual interest. 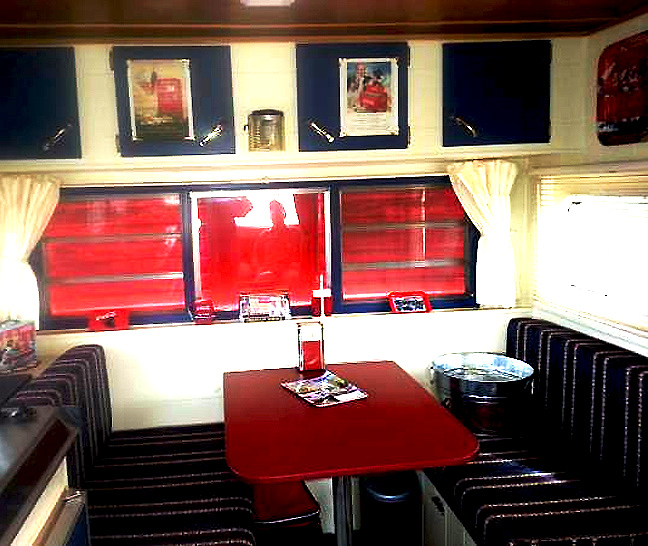 There’s a wall mounted propane heater visible in one shot, and the dinette appears to fold into a double bed, with a twin bed at the rear of the trailer. Cheerful blue and white cabinets provide storage above. Using this kind of bold contrast color scheme is a great way to add energy to a space. 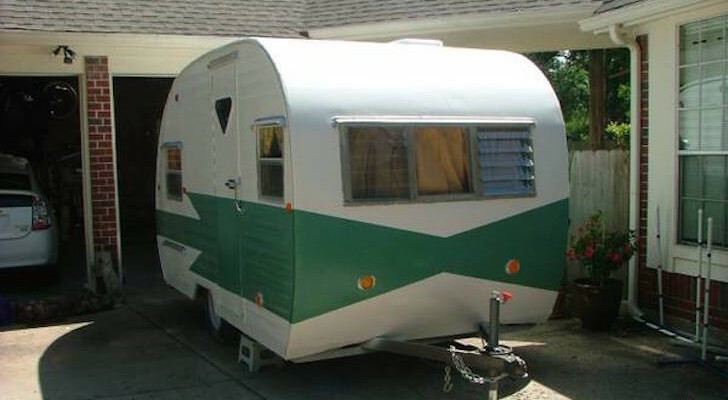 This rear view displays the consistency of the color scheme around the trailer. The whole thing is tied together with the Coca-Cola themed kitsch and wall hangings. This could be done in any trailer, with any similar theme, whether it’s a brand, a sport, or a collectable, like teddy bears. It’s these kinds of touches that make this trailer feel welcoming and make us think that we know something about the person who makes this their weekend home. Lots of great decorator details and a well-used space! 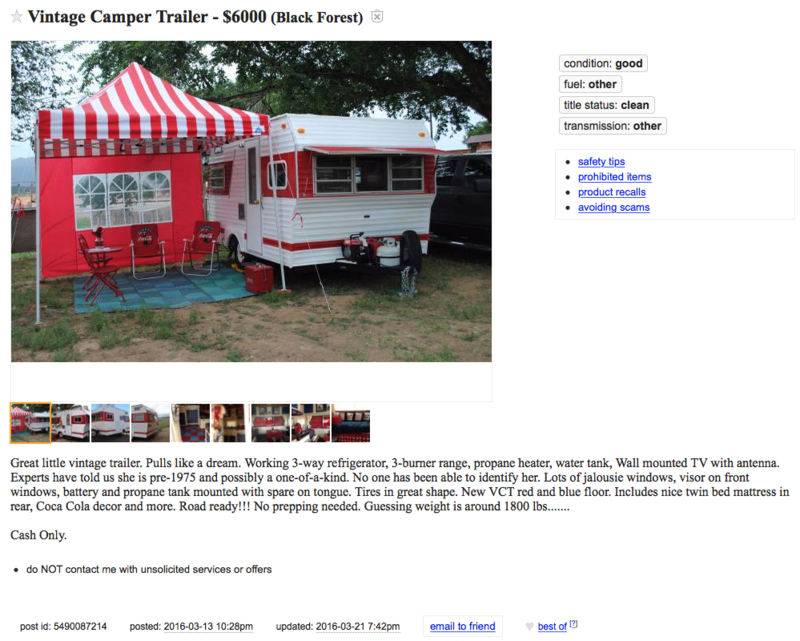 See the craigslist ad here or view an archived copy if the link doesn’t work. 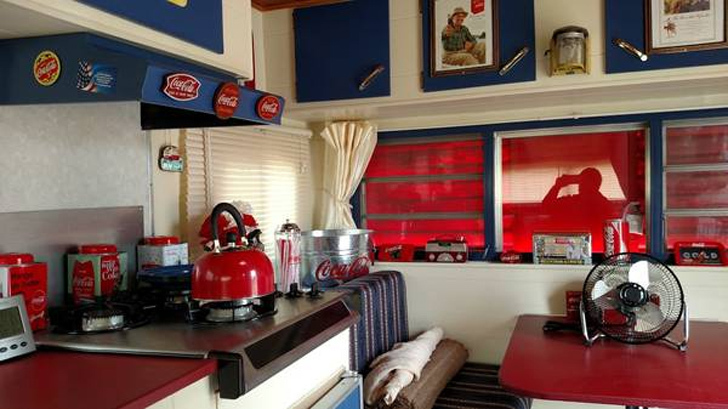 SEE ALSO: Is This Rare GMC Gadabout Motorhome The Ultimate Coca-Cola Collectible?